One of the biggest challenges in eCommerce is the ability of traders to provide a payment mechanism that consumers perceive as secure, convenient, reliable and easy to use. You need to undertake a holistic approach to security and employ a secure system that makes consumers feel at ease when using credit/debit cards online. This will enhance your credibility, especially if your website is certified and authenticated by agencies dealing with online security. The payment options accepted by the website should be properly explained in simple terms, making it easy for consumers to select the method that best suits their needs. In addition, these should be periodically reviewed in order to guarantee their reliability, accessibility, and security. register with a reliable third party processing service ( Example: Paypal, etc.) for handling payments. This system allows the acceptance of credit/debit card payments on eCommerce websites. Besides simplifying the payment process, this also replaces more cumbersome methods, such as cash on delivery and invoicing. Accepting credit/debit cards also helps attract potential customers from all over the world, as these allow you to conduct dealings even when you cannot see the cardholder or the card. Although the acceptance of payment by credit/debit card can be of concern, cards offer protection from fraud through the Card Security Code (CSC), the three-digit security code, which is mostly found in italics on the reverse of the card. This should imply that the person making the transaction is using a legitimate card. The CSC introduced by the banking industry, helps fight Card-Not-Present (CNP) fraud and provides an extra safeguard against fraudulent activity, whilst saving you the cost of chargebacks. This notwithstanding, it is recommended that you become familiar with the risks associated with CNP transactions and the necessary rules for their acceptance. Remember: CSC numbers should never be stored by the trader. 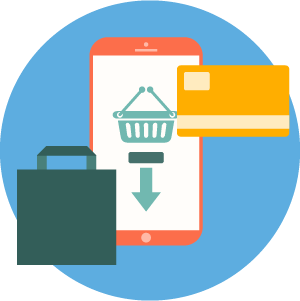 An eCommerce merchant account is a special account that allows you to accept credit/debit card payments and deposit them, at a charge, to a bank account. However, you need to satisfy a set of criteria before you are granted such an account by the banks or other institutions. Generally speaking, if you already accept credit/debit cards in your brick-and-mortar store and have a sound history with the bank or other institutions, the process should be relatively quicker. Details of the directors or partners in the business, including full contact details. It must be noted that the above requirements may vary between banks and other institutions. Besides, the latter could apply different charges. Normally, the ongoing costs would include either a percentage of the transaction value or a flat fee per transaction. Other charges could include set-up fees (one-time payments) and monthly administration fees for refunds and chargebacks. These will vary from one bank or other institutions to another and therefore, it is recommended to shop around to determine which bank or other institutions best suits your needs. These costs normally equate to a very small percentage of the sale and should not hold you back from implementing electronic payments on your website. 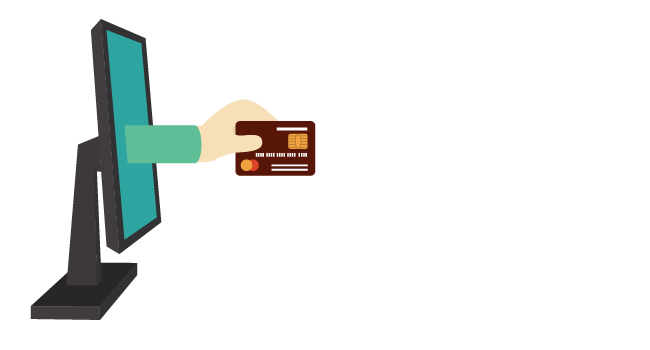 A chargeback is the process that returns funds to a customer’s card account when s/he has successfully disputed a payment. This usually occurs after the legitimate cardholder reports a fraudulent transaction made using his/her card, to the bank or other institutions (although sometimes the trader may have already detected the fraudulent transaction). However, as cardholders do not usually check their transactions until they receive their monthly statement, the chargeback process may kick in quite some time after the original purchase was made. Provide a clear return and refund policy and make it easily accessible on the website. Third Party Payment Service (TPPS) is an electronic payment method that permits traders to receive money through the Internet. A consumer can create an account with a payment service provider and select a preferred method for effecting payments, by either placing money into the account, or alternatively link that account to a card, or a bank account. Whichever method is selected, the consumer’s card or bank account number is never exposed. Paypal is an example of this type of payment service. TPPS offers you the opportunity to accept different types of payments such as single-item or multiple-item payments, donations, recurring payments, as well as the possibility of integrating the shopping cart with your preferred payment service. When deciding whether to opt for a third party payment service (TPPS), you should always check about the charges and other conditions that may be associated with the service. An application charge, which would apply, regardless of whether an application is successful or not. Fees associated with establishing the account, such as set-up fees. 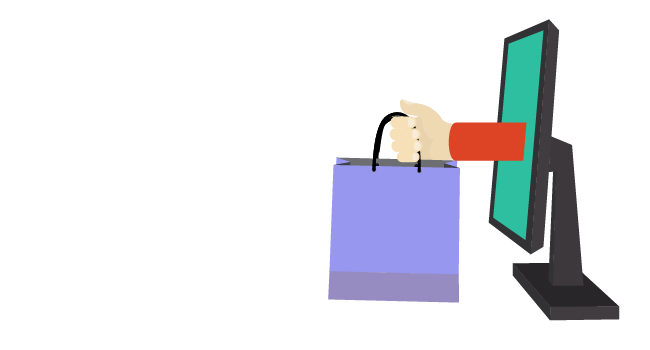 You can decide not to allow payments on your website and instead collect money on delivery or during pick-up. However, this limits your consumer-reach to the local market. All banks and institutions involved in internet payments require compliance with the Guidelines on the security of internet payments issued by the European Banking Authority. If the institution is local, it must adhere to the Financial institutions Regulation 1 (FIR04 – Security of Internet Payments of Credit, Payment and Electronic Money Institutions) issued by the MFSA. Where neither the card nor its owner is present at the point-of-sale. Also referred to as card verification value [CVV] or card verification code [CVC].